Gamescom 2017 is in full swing and Monster Hunter World has allowed gameplay capture of some hunts, particularly Great Jagras and Anjanath in the Wildspire Waste area. 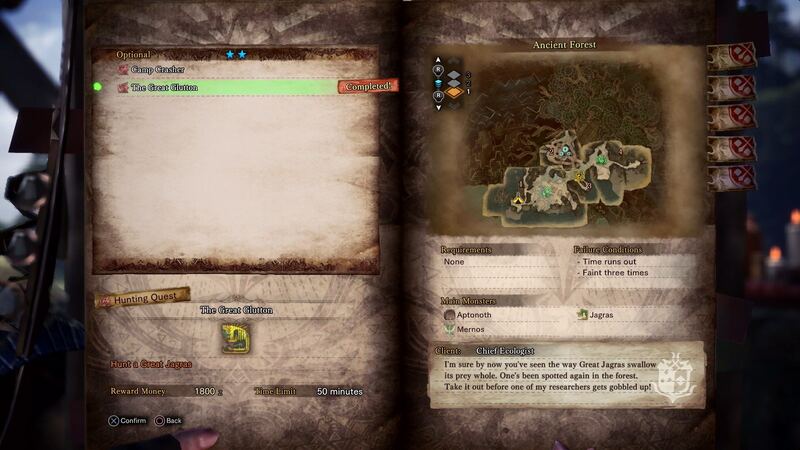 In addition, a “Monster Hunter Guide” has been released to help players who are new to the series. You obtain quests via your “handler”, who will display optional and required quests in detail. Quests in Monster Hunter World have a time limit, and are failed if the timer runs out or if the player faints a number of times. Other fail conditions are also available depending on the objective. Helping NPCs is what we’re here for! After the quest is completed, special rewards can be obtained in addition to the ones listed originally, yielding coveted Materials. 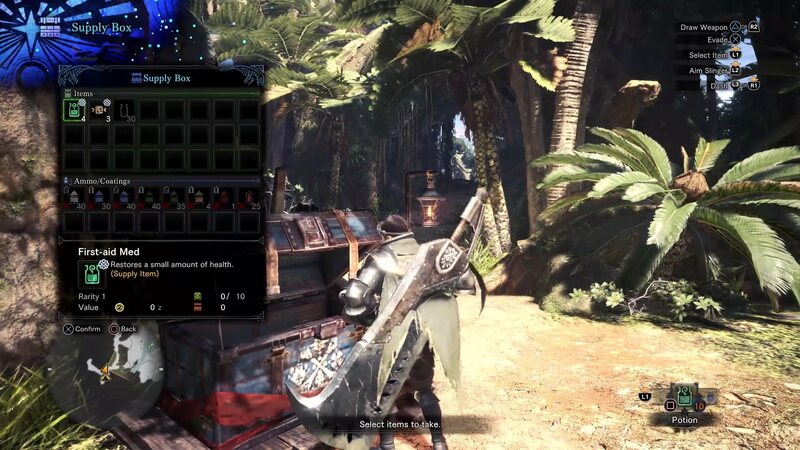 The Supply Box is an in-the-field restocking for your items as you arrive at the hunting destination. You have a variety of items that can be picked from here based on your storage and what you have collected among the way. Make sure to stock up! Once you’re on the hunt, you will have to track down the beast you are after. For this, abilities such as the tracking of footprints are used. 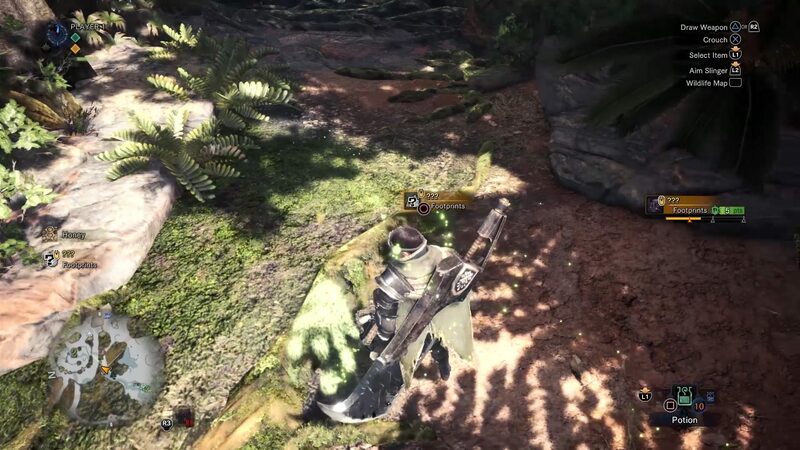 Interacting with a footprint generates a shining green trail that guides you in the direction of the monster, and is used as “breadcrumbs” to find them. Having some ranged attacks is highly advisable, as Monsters aren’t always all by themselves. 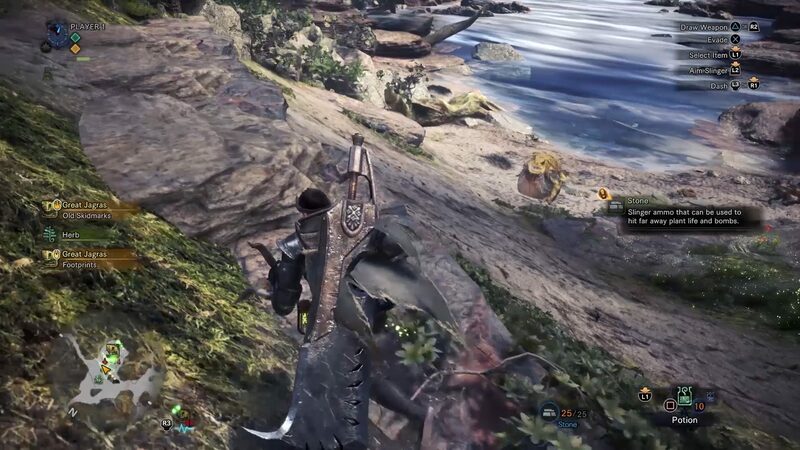 You can gather Stones and use them to attack far-away wildlife. 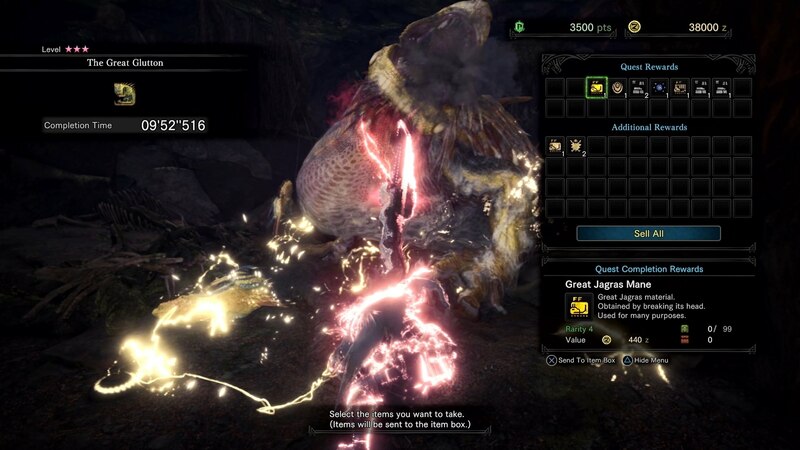 Once the hunt is done, you have 1 minute before you are automatically removed from the area and returned to the world hub. You should use this time to harvest materials from your slayed monster: these are later used for crafting, upgrades and trading. The manner by which you defeat the Monsters plays a role on the loot you get. Wounding the animal such as tail-cutting or creating a limp on its legs can give you special rewards. There’s also some capture rewards to look forward to! 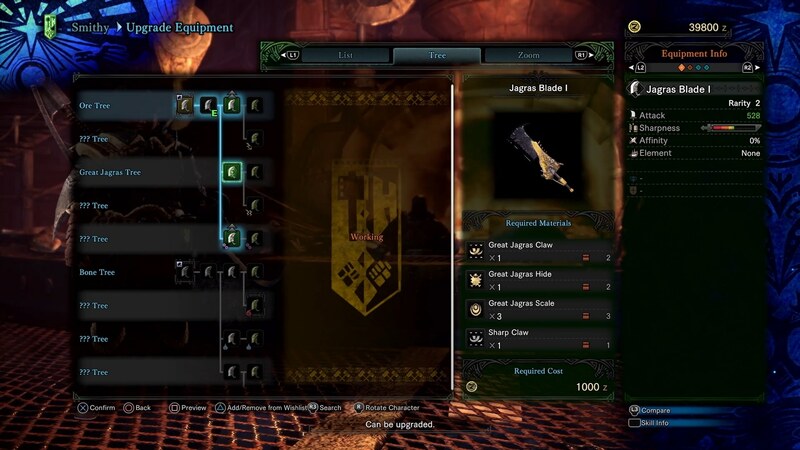 Gruesome it may be, but those bones gonna make some fine weapons! Players visit the Smithy, who can upgrade your equipment using the materials you have found and harvested in the field. Each weapon and armor has upgrade paths that can be followed, and are your key to becoming a more powerful and efficient Monster Hunter. 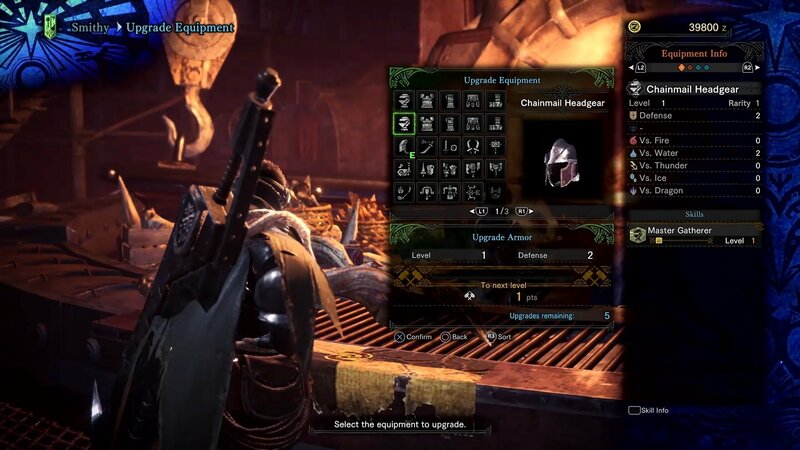 You will also be able to create different looks for your Armor depending on your choices during upgrades. 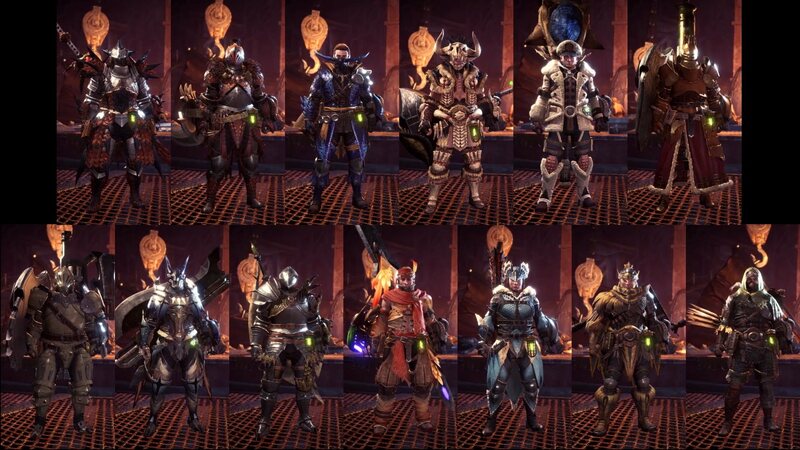 These customizations are a significant portion of the fun of the game, and can present a difficult choice between fashion and performance! Ahead of the public available floor demo of TGS 2017 (which we will be there for! 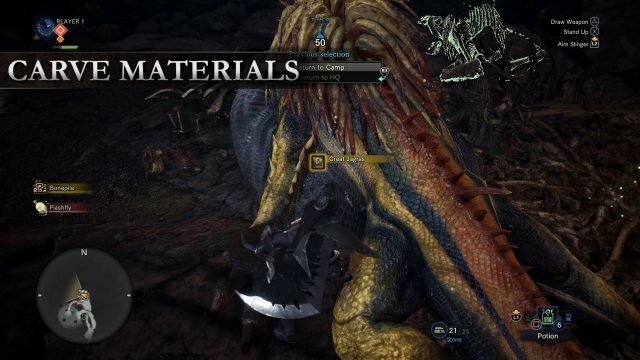 ), Capcom has released footage of multiplayer Hunts at Gamescom 2017 via GameInformer. Enjoy the video! Want to know more about Monster Hunter? Visit our Monster Hunter World Wiki! You should also check out the Wildspire Wastes trailer, and our E3 20171 Gameplay Preview.